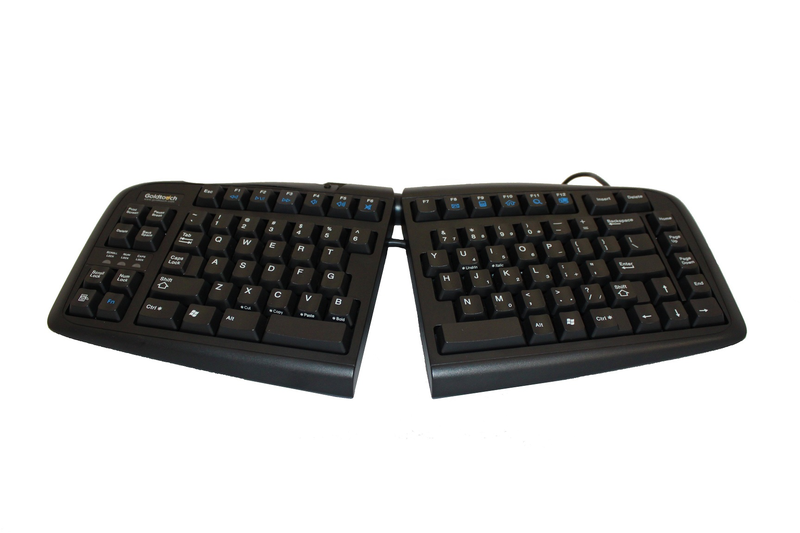 The New V2 standard Goldtouch Adjustable Keyboard with updated Hot keys and functionality is the only keyboard designed to properly straighten the wrists and arms while aligning with the shoulders to achieve a neutral typing posture. No other keyboard allows for the range of adjustability as a Goldtouch Adjustable keyboard. Small, space saving foot-print to bring your mouse inside your ergonomic "comfort zone"
Compatible with Windows 7 and greater, 2000, XP, Vista and Win 7.